Complete more than 1,600 funny expressions! Konito? 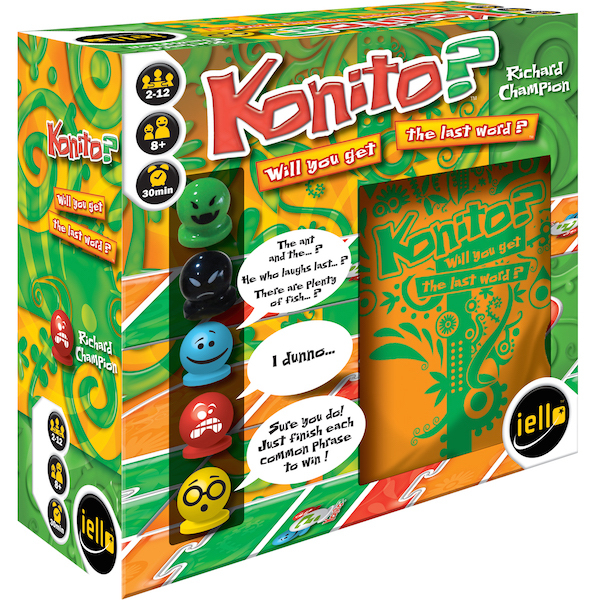 The party game you will love! The more expressions you complete, the more you advance on the boards. Sounds easy, doesn't it? But if you don't know the answer, don't worry: your teammate can give you hints by mimicking, humming, or well, doing whatever they want except reading you the answer! You can add challenge cards to spice up the game, choose from three difficulty levels of questions cards, and you get an easy-to-learn, very fun game.Of course, all questions must be answered within a time limit and everyone knows that Time is...?